It’s time to revisit one of our beloved body products: Radiant Skin Silk Body Lotion. like vanilla. It all sounds too good to be true, like your favorite healthy dessert, but bottled up. I think you’re skin deserves a little treat. As we inch closer to wintertime, the cold begins to take it’s toll on our complexions, causing dryness, flakiness and even fine lines. You’ll need something beyond a basic moisturizer, and of course, never settle for anything that's not a natural body lotion. 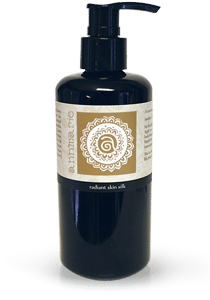 This lotion also pairs well with a natural body wash! Our Radiant Skin Silk Body Lotion is beauty butter in a bottle. Protecting and nourishing your skin, while helping it to retain moisture long-term. Bye-bye dry skin, hello radiance! Let’s explore some key ingredients within this creamy goodness. What Makes Our Skin Silk So Radiant? A rich source of beta-carotene, essential fatty acids and vitamins A, C and E, sunflower oil has all of the skin-protecting properties you need to make your skin look and feel healthy. Essential fatty acids encourage a firmer tighter look, while antioxidant vitamins are crucial to protect. Sunflower oil is also commonly used among people with sensitive skin. In fact, researchers at the Queensland University of Technology have found that sunflowers contain peptides that help assist. If you have sensitive skin flare ups, the sunflower oil included in our radiant formula should help to soothe and revitalize your skin. 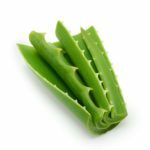 For skin care and topical use, aloe’s capabilities are vast. Aloe deeply penetrates into the layers of the skin, delivering active components like vitamins, minerals, enzymes, amino acids and moisture-binding properties, resulting in beautifully hydrated skin. Research has proven that aloe vera contains substances that have the ability to make your skin look radiant. Our aloe vera juice infusion is the base of this divine body lotion. This infusion contains a unique blend of nutrient-rich herbs specifically formulated to heal and support your skin’s needs. Within this blend of skin-nourishing herbs are the lovely plantago and calendula. Also known as plantain, plantago is a weed. However, weeds harness medicinal properties, too! This weed grows everywhere and is prized among herbalists. Plantain is the ideal remedy for sensitive skin. 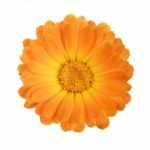 Called also pot marigold, this is not only a flower bursting with color, but a flower teeming with benefits for the skin. There’s a reason calendula is a common ingredient found in salves, creams and herbal oils — serving its purpose of supporting the skin! Calendula is truly a gift for all complexions. Whether you’re looking to brighten, protect from occasional blemishes, or firm and tighten, this flower has a lot of power! Now if that doesn’t want to make you want to slather on our silky, natural body lotion daily, then I don’t know what will! Have you tried it? Is your skin looking and feeling more radiant? Gladstar, Rosemary. ‘Rosemary Gladstar's Medicinal Herbs: A Beginner's Guide: 33 Healing Herbs to Know, Grow, and Use.’ Storey Publishing, LLC (April 10, 2012). These are really great tips you have here! Thanks for sharing.